Serge Ibaka recorded his 6th straight double-double as the Toronto Raptors defeated the Los Angeles Clippers 121-103. Ibaka scored 16 points and collected 12 rebounds. Kawhi Leonard was held to under 20 points for the second game in a row, as he scored 18. Pascal Siakam scored 15 and went 6-7 from the free-throw line. Kyle Lowry was rested as he was dealing with a sore back. Fred VanVleet started his 21st game in place of Lowry and scored nine. Danny Green had an off night, and scored four. The Raptors bench outscored the Clippers bench 59-45. C.J. Miles scored 15 points and shot 3-5 from three, and Delon Wright scored 14. Greg Monroe had nine points and seven rebounds. Chris Boucher went 4-6 from the field, scored eight points and grabbed four boards in six minutes. Rookie and Hamilton native Shai Gilgeous-Alexander led Clippers scoring with 19 points on 9-15 shooting. Tobias Harris scored 13, Patrick Beverley had 12. Former Raptor Lou Williams scored 18 points off the bench, and centre Boban Marjanovic scored 10 and had nine rebounds. 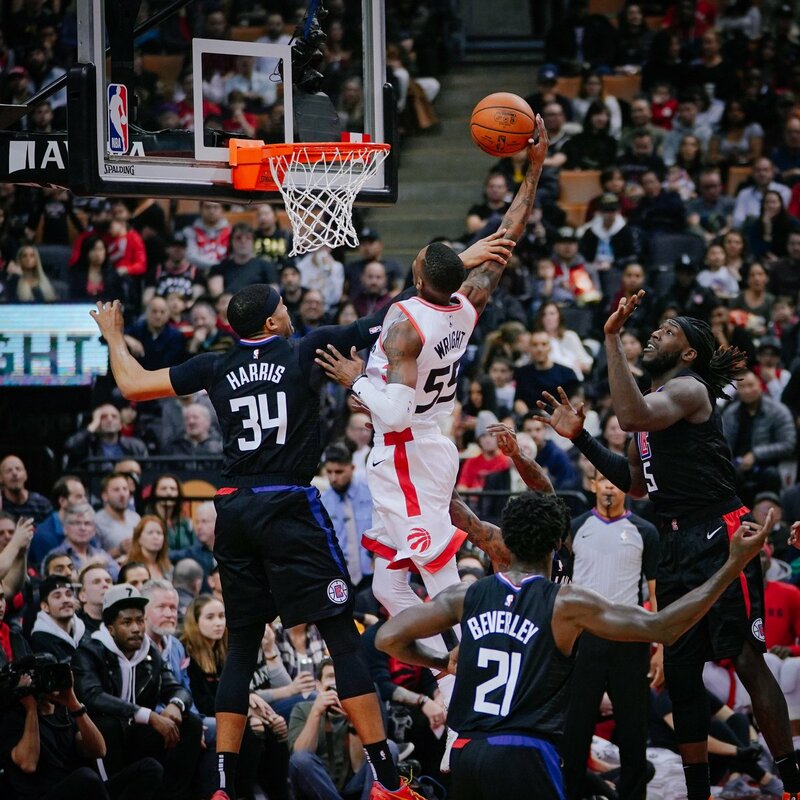 The Raptors out-rebounded the Clippers 56-36. Three-point shooting was not as prominent on Sunday afternoon, as Los Angeles get most of their work done in the paint and only shot 2-12. Toronto went 9-33 from three-point range. Delon Wright chipped in on all aspects of the game, including rebounds and scoring second-chance points. Leonard and Miles contributed to the majority of Raptors three-point shooting. There were only three NBA games on Super Bowl Sunday, all of which took place in the afternoon. Serge Ibaka doesn’t watch football, but knows how to promote his team. The Raptors start a three-game road trip, with their first contest taking place on Tuesday in Philadelphia against the 76ers at Wells Fargo Center.